Gary Andrews, highly regarded ferry journalist and now freelance consultant to numerous ferry companies, has embarked on a series of mystery passenger travels this summer. Below is an extract of his positive report about the Entee WebRes ferry reservation system as a independent traveller on LD Lines. The WebRes ferry booking engine referred to below can be viewed online by visiting LD Lines. The booking engine for the Dover - Boulogne route is generally excellent. The initial selection form is easy to use and having the time of sailings on offer pre-selected is very useful, rather than a general time selection. The sailing selection screen is excellent and probably amongst the best practice in the travel industry, allowing passengers to see which sailings are available and at what price. It is likely to prevent prospective passengers abandoning the website on price or availability grounds. The booking and payment functions are easy to use. Overall, it is basically a very easy booking engine to use and only the most inexperienced of web users should experience any difficulties. This positive report from such a well-respected ferry expert is excellent feedback for the WebRes product. 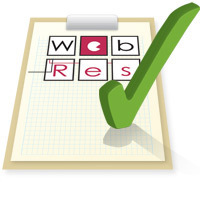 For more information about the WebRes product please click here.